Now you might be asking why I am making it from juice. First off, even though I might be sacrificing the quality of the final product by using juice, it is much cheaper and significantly less labor intensive to use juice than to press apples. 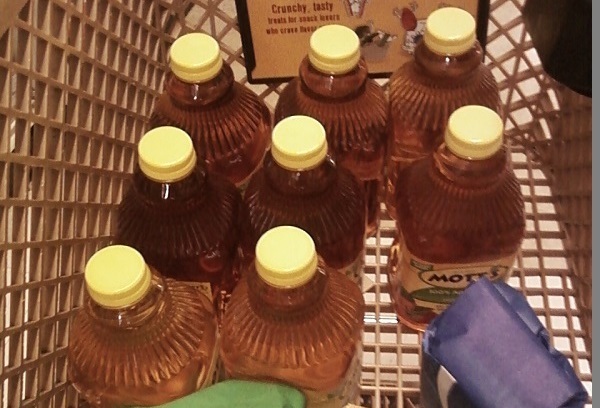 It takes about 15lbs of apples to make 1 gallon of juice, and with apples over $1/lb, it isn't very cost effective. 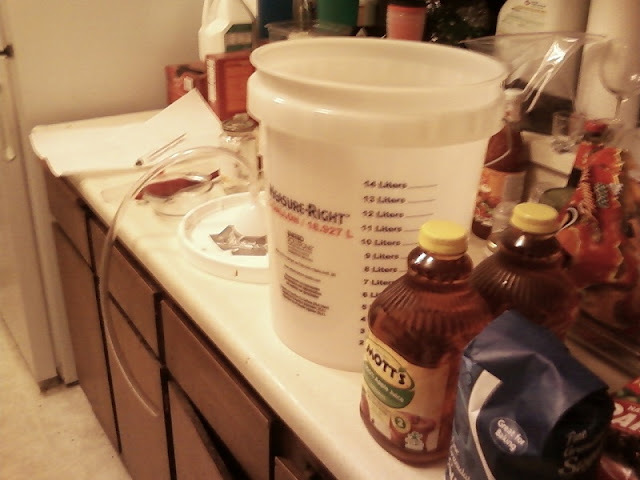 Second, I can use the juice jugs to bottle my product once it is ready (after sanitizing/sterilizing prior to bottling). 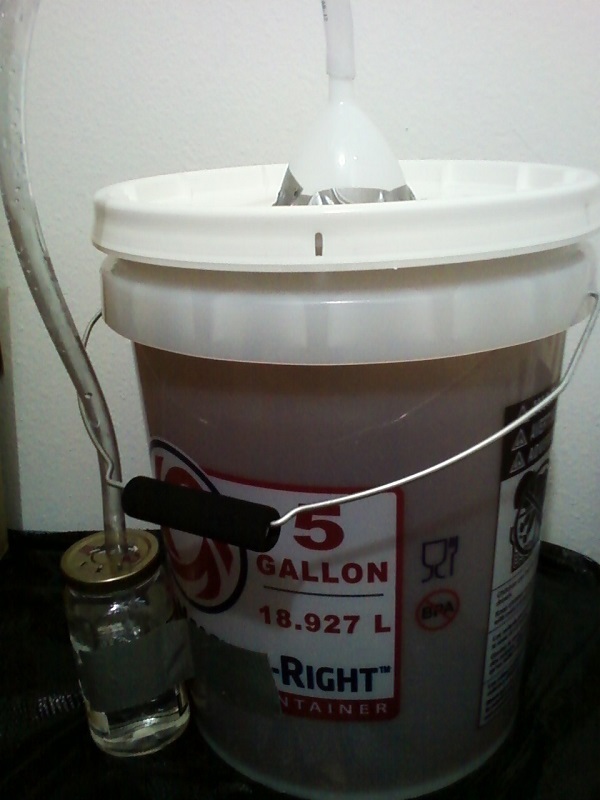 Lastly, the juice has already been pasteurized, so I do not need to boil it prior to adding it to the fermenter. You can choose between white sugar or brown sugar (or even honey) as your sugar source. I do not know what each would do to the final product, so that is why I am experimenting. My choice of yeast for this batch is champagne yeast because it is the only yeast I have. 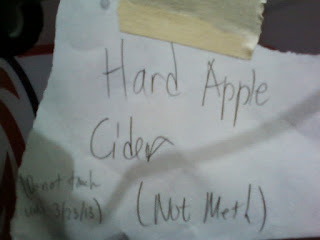 There was a guy who did some good research on yeast choice for cider, and it was recommended (even though it would be better to go out and buy some ale yeast). Regardless, selecting champagne yeast will create a drier cider (and perhaps one with a much higher alcohol content too). The plan is to mix up the batch, let it ferment for about 2 weeks, rack it to secondary after that and let it sit for a week there prior to bottling. Additionally, I may choose to add some cinnamon sticks or similar flavoring items during the transfer to secondary. I believe the gelatin I used to clear the batch "watered down" the flavor. So now is my chance to redeem myself and my brew. The batch has been mixed up and the yeast has been pitched. The starting gravity is 1.090, the same as my white wine. I bet the cider will taste just as dry as it did. Will be updating in about 3 weeks. For the extreme chance that my apartment gets raided. 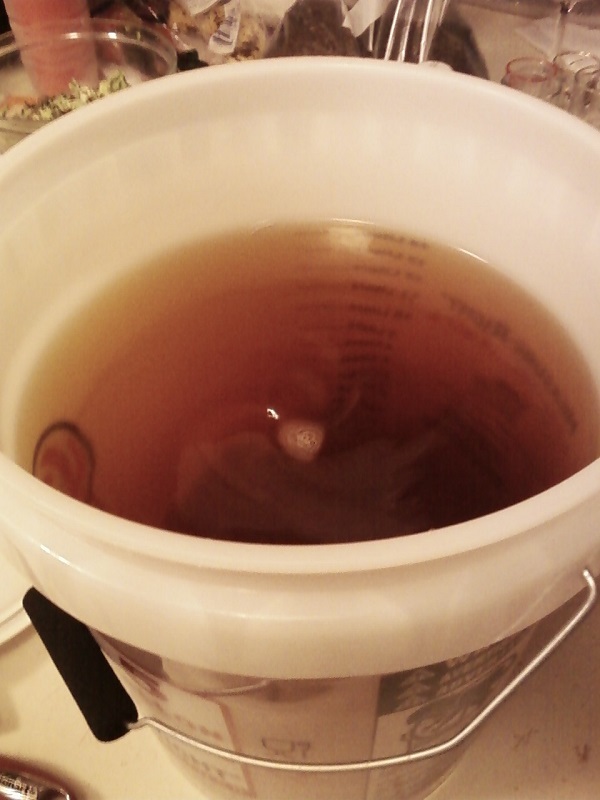 UPDATE 3/24: I have transferred the cider to secondary after 15 days. It still looked like it was fermenting, but not as quickly as before. I got a hydrometer reading of 1.020, giving a quick ABV calculation of 9.3%. I do not know how accurate it is, as I could taste quite a bit of carbonation in the unfiltered brew. I will do another reading before I bottle it on Saturday. UPDATE 4/3: I got behind on bottling, but I did so today. The hydrometer gave me a reading of 1.010, a final ABV of 10.5%. Not too bad. It tastes strong and is very carbonated. Cheers!